At last Lithuanians and Belarusians know where they stand. Foreign ministers from the two countries have struck a deal to officially confirm the demarcation of their border. 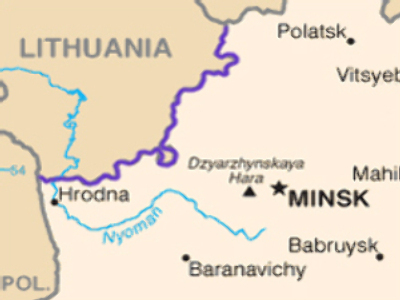 The Lithuanian-Belarusian agreement, finalised on Thursday, is the first demarcated Eastern border of the EU. In total it stretches for 679 kilometres, of which 380km runs across land and 299km is across water. The Lithuanian Foreign Ministry Secretary Laimonas Talat-Kelps and Deputy Foreign Minister of Belarus Valery Voronetsky exchanged notes in Vilnius, marking the end of a process begun in 1996.